George's favorite author is signing at the new bookstore in town. Waiting in line is hard when you're as curious as our little monkey, especially when surrounded by so many great books! George has fun browsing but then takes organizing some open boxes of books into his own hands, with surprising results. At the end of the day, lucky George finally gets some time with his favorite author. 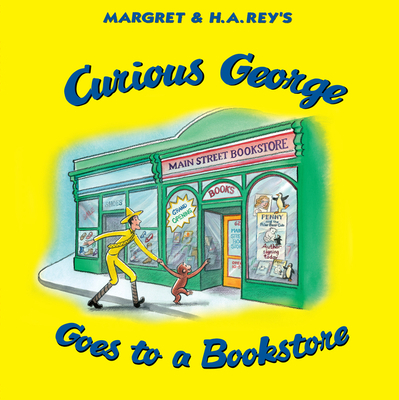 Children will love his silly antics as George explores the wonderful world that is the local bookstore. This latest monkey tale is for book lovers, lovers of George, and especially lovers of curiosity!